We recently talked to a UK supplier of T Shirts, hoodies and other garments and asked him whether his Leicester based factory had all the necessary fair trade certification. This is a common question we ask when dealing with clothing producers as no one wants to be associated with products that are made by sweated labour. We were somewhat taken aback when this factory owner in Leicester dismissed these questions “Certainly not” was his swift response, “we don’t bother with any of that”. 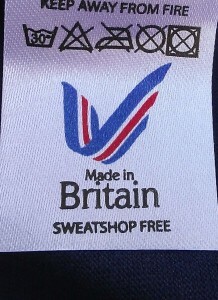 “ We produce our garments in the UK and in this factory. We abide by all the UK and EU legislation, all the health & safety regulations. We pay proper wages and National Insurance. Surely that’s better than any ‘fair trade badge’. “And if anyone has any concerns – like you – they can come and see our factory for themselves” We have made several visits and are impressed by what we see. It was a fair point. Buying UK products not only gives jobs to people here, it also ensures the clothes produced are done so to pretty high labour standards. Compared to Pakistan, India, China, Turkey or anywhere outside the EU, the UK wins hands down when it comes to factory conditions. Of course UK produced clothes come with a premium. They are more expensive and don’t always match their overseas counterparts in terms of range and choice. 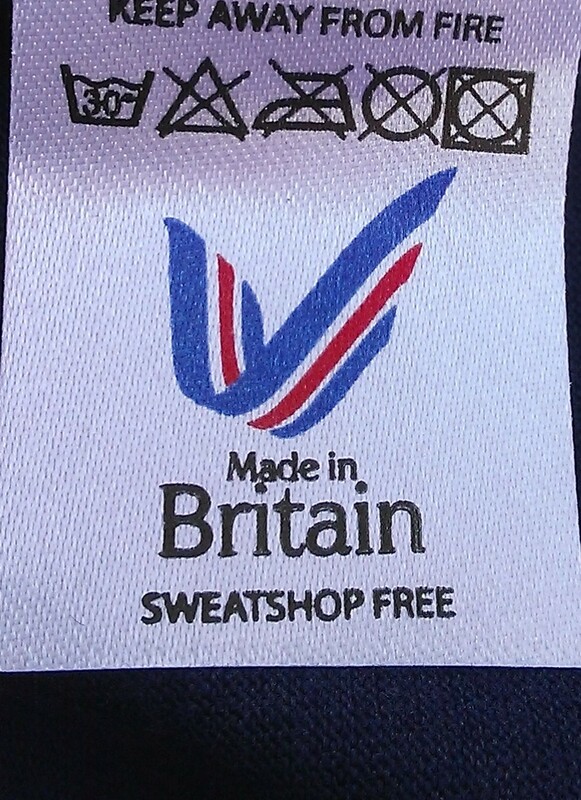 But if you are concerned about the ethics of third world produced clothing, buying British may be the answer. For this reason we were delighted that our clients DMM International www.dmmwales.com chose UK produced T Shirts when they asked us to source new clothing for a trade show. They produce high quality UK made climbing equipment. They wanted clothing that matched those very brand values even though they had to pay more. Buying British does not come with any guarantees. However, our supplier from Leicester is right to dismiss the need for fair trade accreditation for his products. ← South West Coastal Path – 630 miles of incredible English coastline.